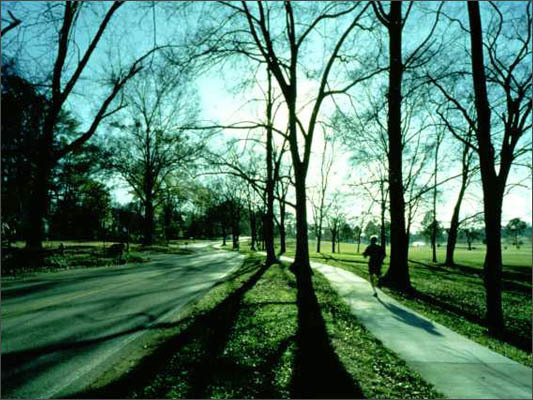 In 1993, the City of Mountain Brook began implementing the Village Trail System, a pedestrian walkway loop linking the city's three historic shopping villages and Jemison Park. Working for the City, Nimrod Long and Associates prepared the successful ISTEA grant application and provided Phase I design and construction administration. Phase II of the Village Trails project, incorporating additional neighborhoods, added 2 miles of walkways in 2001. Phases III & IV begun in 2002 will include over 4 miles of additional walkways. When the seven-phase project is completed, the Village Trail System will contain over 25 miles of walkways.